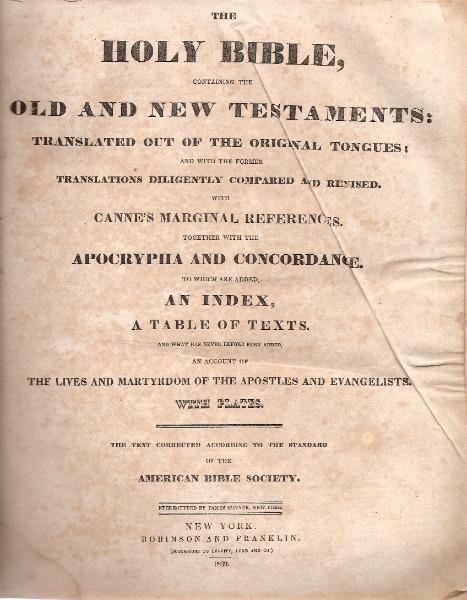 Holy Bible in English; Robinson And Franklin, New York, 1839. 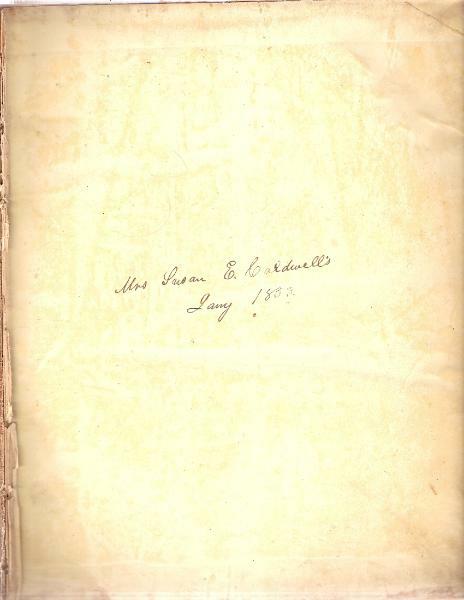 The Family Bible of William Morton Fletcher Caldwell and his wife Susan E. Harrison. 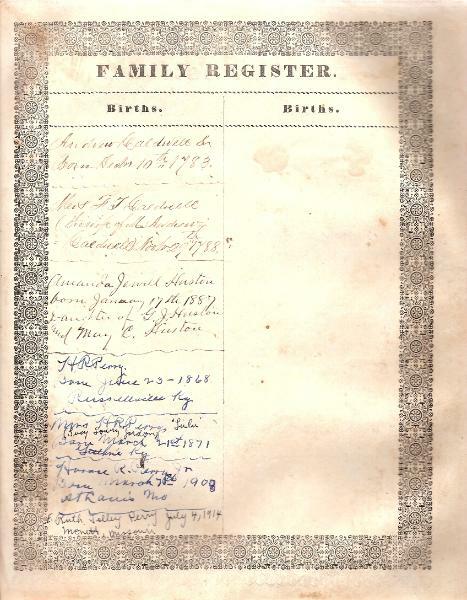 Mrs. Susan E. Caldwell Jany 1853. 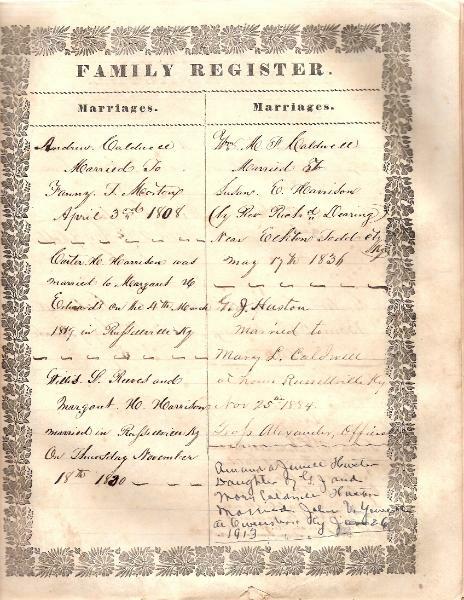 Andrew Caldwell Sr Born Decbr 10th 1783. 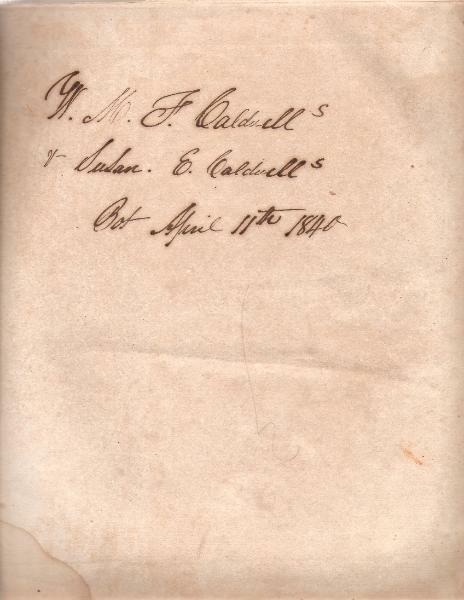 Mrs F T Caldwell (the wife of M. Andrew Caldwell) Novr 29" 1788. 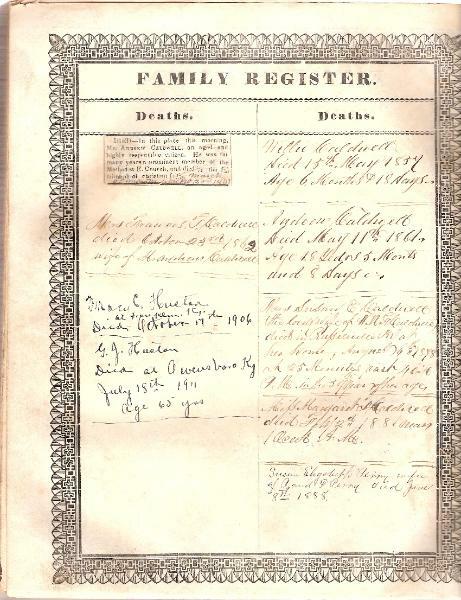 Amanda Jewell Huston born January 17th 1887, Daughter of G. J. Huston and Mary C.
Willie Caldwell Died 15th May 1854 Age 6 Months & 15 days. 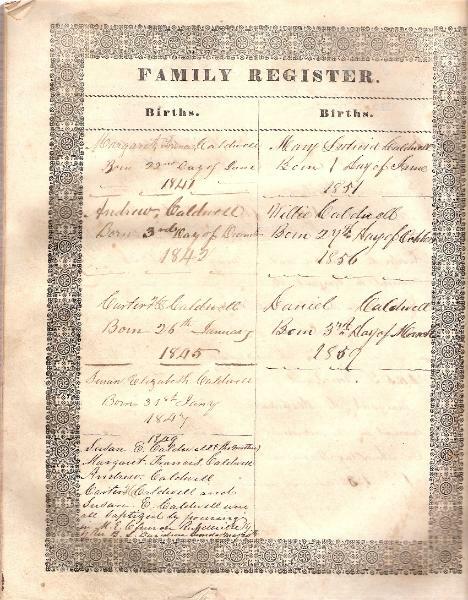 Mifs Margaret F Caldwell died Feby 2d 1881 near 1 Ock AM. Susan Elizabeth Perry wife of A and F. Perry died June 8th 1888.